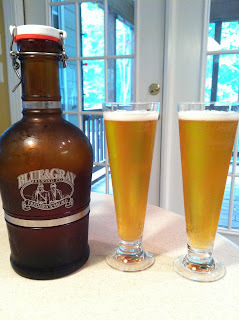 After a fun morning of shooting, I decided to open the growler of Kirkland's Kölsch we ever so carefully brought home Friday evening from Blue & Gray Brewing. Kirkland's Kölsch pours a golden-yellow color with a very thin, short-lived head. The aroma is faint sweet malt. The flavor is grainy, grassy malt with a touch of sweetness. A mild bitterness completes the flavor. The finish is dry with just a hint of lingering sweet grain. 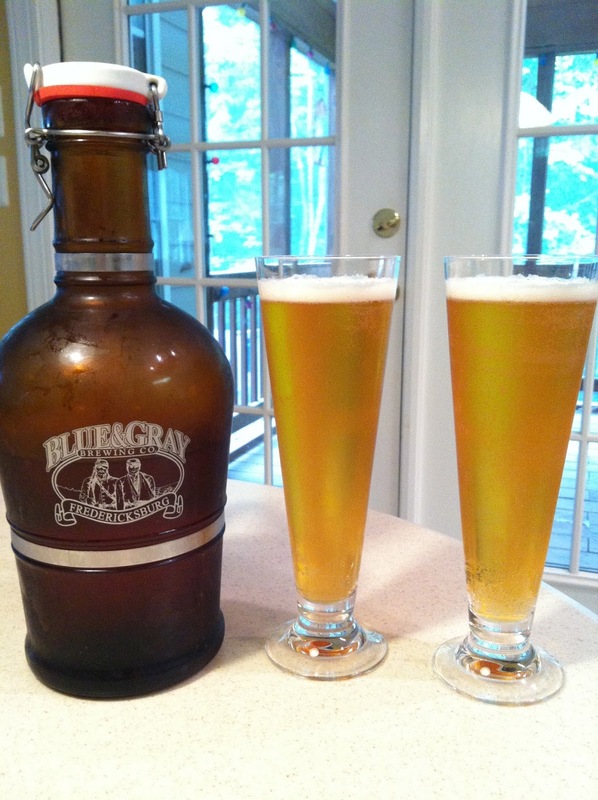 This summer offering from Blue & Gray was a refreshing and lighter libation that hit the spot after being outside in the sun and humidity earlier in the day. Tired and slightly sunburned, I wasn't in the mood for anything "big." This locally-brewed Kölsch hit the spot as an "appetizer" while dinner cooked. And another glassful made for a fitting dessert. That's it exactly, PH! And with the weather ahead this week, I may just have to go back for a refill!